This map of Oahu shows the North Shore. I believe it's the finest place in America to live---right out in the middle of the Pacific Ocean. The sense of community is strong, the air is clean, the temperture's perfect year round, 75 degrees, and I'm in the country at the beach--what more could a dog want? The yellow area on the map is another parcel of land in the same area that was recently saved from development, just like Sunset Ranch. Bravo to the young men and women in my community for being hardworking stewards and preserving precious land for future generations--Douglas Cole, Blake McElheny, and Denise Antolini. Grandpa Larry MeElheny played music at the dedication of Sunset Ranch and later in the afternoon he watched his sweet little grandson, La'e, enjoy and explore the wide open grassy fields. What a joyous celebration under white tents with fabulous food served by Wahoo Fish Taco, and lots of very proud community members smiling and hugging. This event was just another of many reasons to love the North Shore. 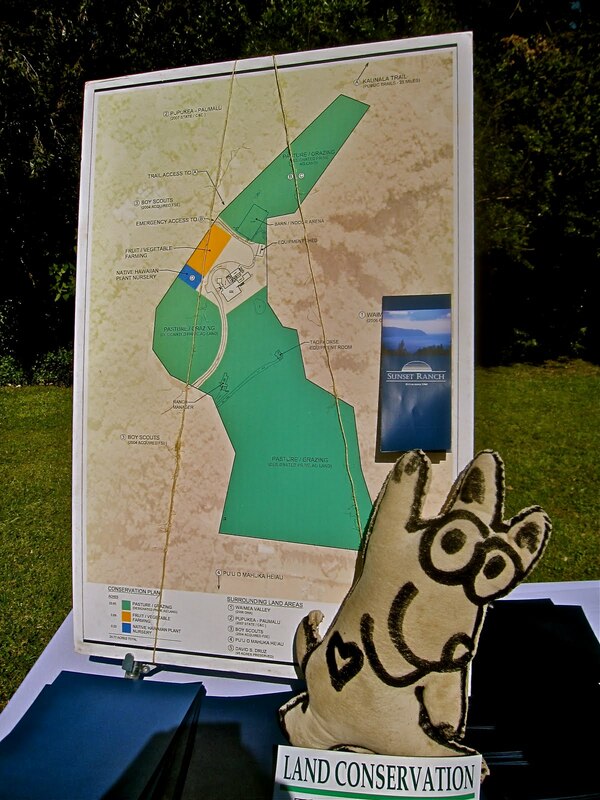 Everyone was Invited to Sunset Ranch and Look Who Showed Up! Yes, I am in the "Country"! 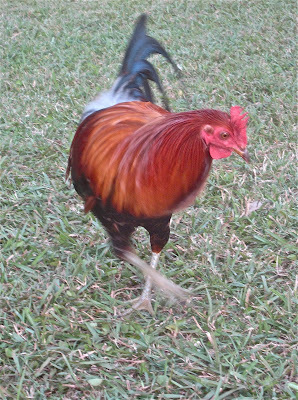 So there are always, and I mean always, wild roosters and hens running around all over the neighborhood. Maybe we should think about changing the state bird from Nene Goose to Chicken. What do you think? 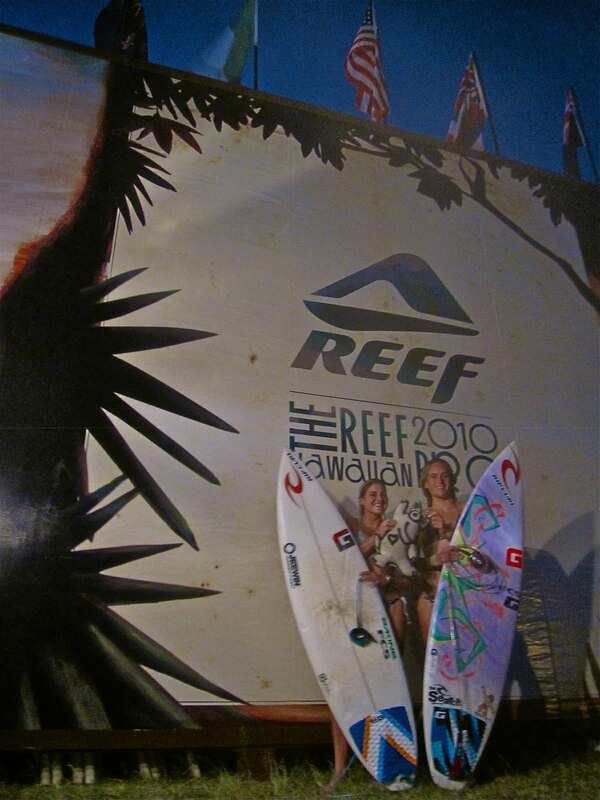 The Reef Hawaiian Pro is the first surfing contest of three comprising the Triple Crown of Surfing. This first competition is held in Haleiwa, my little beach town. Cannelle from Reunion Island, and Justine, with the colorful board, from Lacanau, France, will compete in the Women's Hawaiian Pro. They were practicing their wave riding skills after the last heat ended at 4:00 and they surfed until dark. These last three contests of the Triple Crown will end the ASP (Association of Surfing Professionals) 2010 World Surfing Tour. 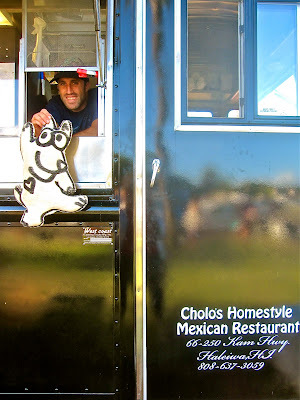 Matt was working for Steve who owns Cholo's Mexican Restaurant at the Haleiwa Market Place. Steve just outfitted this very spiffy lunch wagon (did you notice the t.v. screen?) and was providing food for all those involved in the contest. Cholo's is the official food sponsor of the Triple Crown. Well, what do you think? 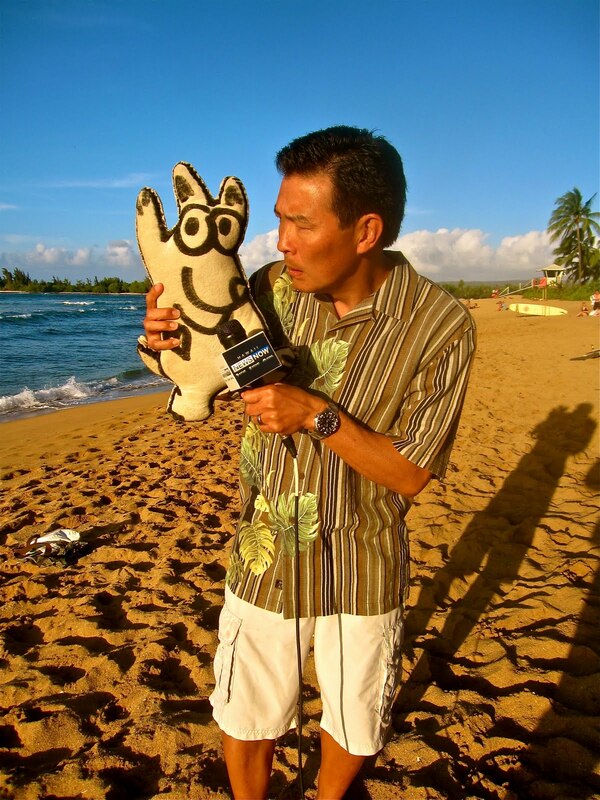 Could I be a weatherman like Guy Hagi? Guy was at the beach sending a broadcast back to all his viewers and fans. 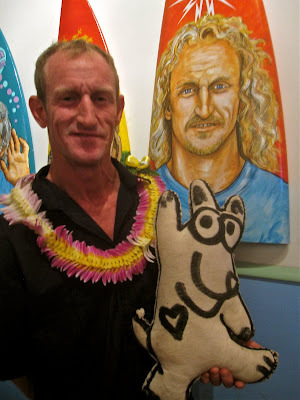 He gave them a blow-by-blow account of the wave riding conditions, and the upcoming forecast. There has been a little rain on the North Shore lately-----and that's okay because it's what keeps this neighborhood green! There are so many tourists on the North Shore during surf season. Veronica, on the left, and Jenny came in from Sweden for a few weeks to experience the warm temperatures and big winter waves of Hawaii. When I asked them if they like being here, both replied, "It's awesome. It's like Paradise. I want to live here!!" Lucky, I DO live here! Randy Rarick, the Executive Director of the Triple Crown, is an old hand at putting on surf contests. 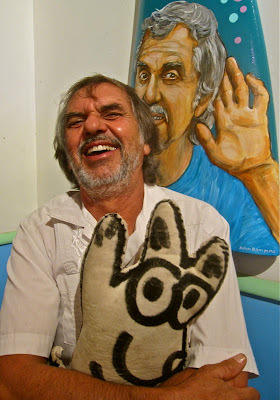 He's been in the business for 37 years and has been promoting this final leg of the world tour for the past 28. I asked Randy how he's contributed to the sport of surfing. His reply, "I'm proud I have been able to give wave riders the opportunity to live their dream, AND get paid for it?" 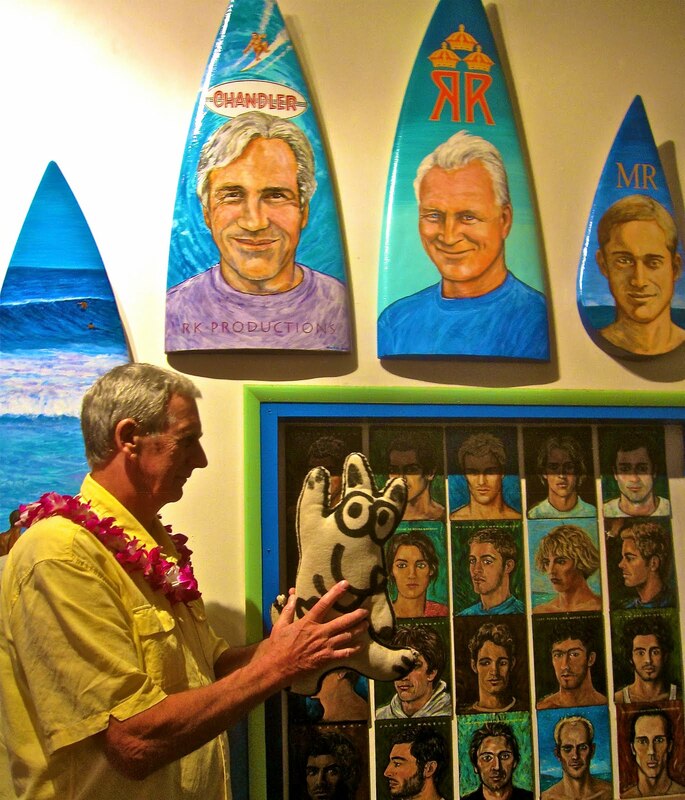 Randy was a pro surfer many years ago and only wished he could have been "paid to surf". 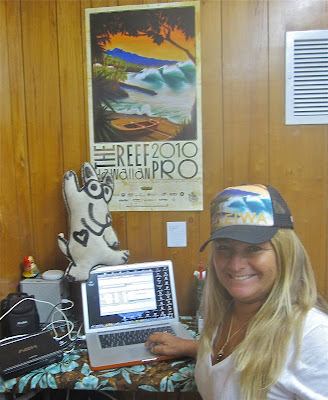 Banzai Betty, also known as Betty DePolito, sits inside the Media Trailer and keeps tabs on everything; working directly with over 2,000 media contacts and news agencies around the world. Her title------Video News Editor. She writes stories daily and oversees a webcast which is viewed by a quarter million people. Now, that's plenty of pressure! Good job, Betty. 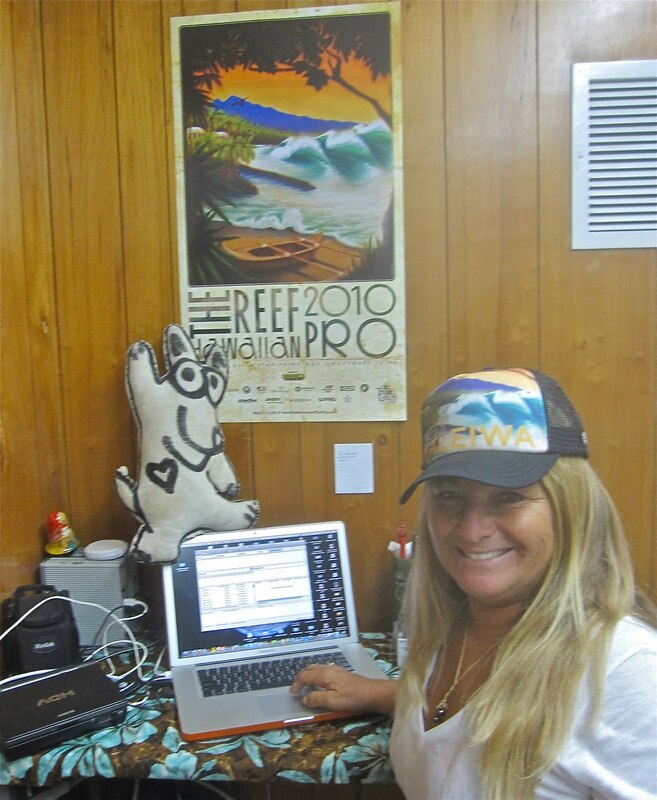 Jodi Wilmott is the Media Director of the Triple Crown of Surfing and that is a big, very big, job. She signs in all reporters who are covering the contest, and there are many, many from around the world. Jodi's green so she made this a paperless registration. Guess what, I signed in on the screen next to her and now I have my very own press pass!! I'm official! Yes, that's a crown alright, next to the World Tour of Surfing trophy. The crown is just a little joke that Jodi, the Media Director, keeps around for laughs, and as a conversation piece. 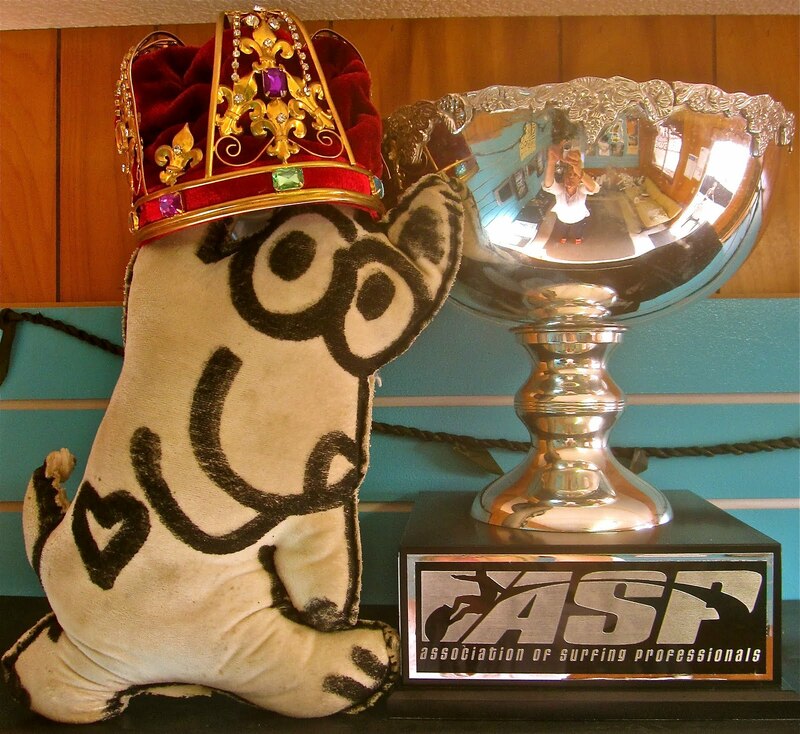 This trophy is one of three on different continents. 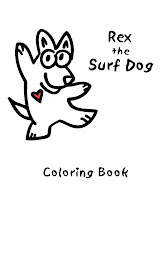 I had a benefit for Sunset Beach Elementary to raise funds for the summer reading project called "Right on Reader". 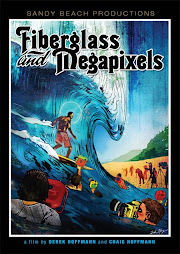 I showed a great documentary about Pipeline called FIBERGLASS AND MEGAPIXELS in Waimea Valley. There were lots of smiles! The following photos captured the evening thanks to Maika, Paula, and Elizabeth. Waimea is one of the most beautiful and cherished spots on Oahu and it's just down the road. This valley is the first place on Oahu settled by the ancient Hawaiians. 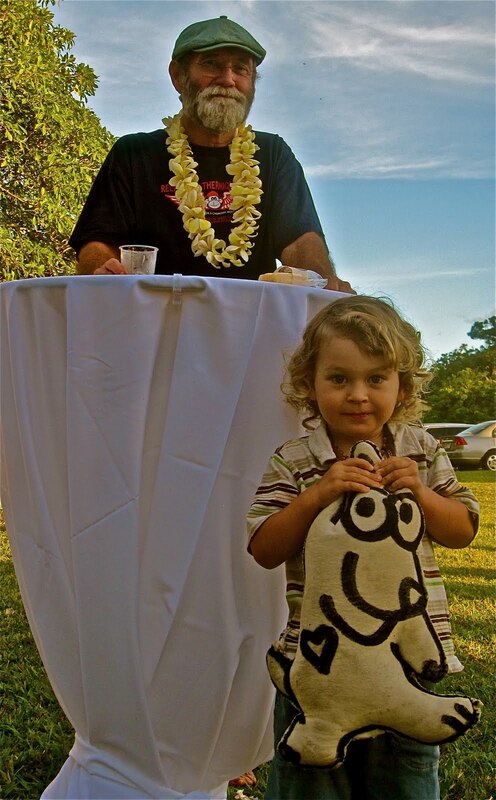 The open air space you see, called the Pikake Pavilion, was the perfect venue for a surf documentary benefit, an auction, live music, and an evening full of fun and good spirits. She grows her own tomatoes, grows her own basil and makes pesto, and makes her own mozzarella cheese, too. With a thin crust, Big Wave Tomato is the best pizza I've ever eaten. 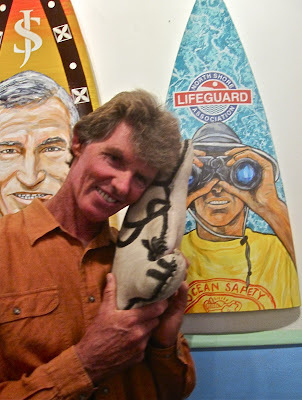 Jeanne sold out the night of the surf movie and I can understand why!! A sense of community is strong on the North Shore and that's why I love living here. When Mom needed extra hands to make the evening benefit go smoothly, she called on her neighbors and friends, and they answered the call with goodwill and open hearts. From left to right---Yvonne, Debbie, Elizabeth, Mom, Kathy, Karen, Jan, Lisa, and Diane. MaryJo is kneeling. Bravo to these wonderful volunteers and the many more who supported literacy at Sunset Beach Elementary! 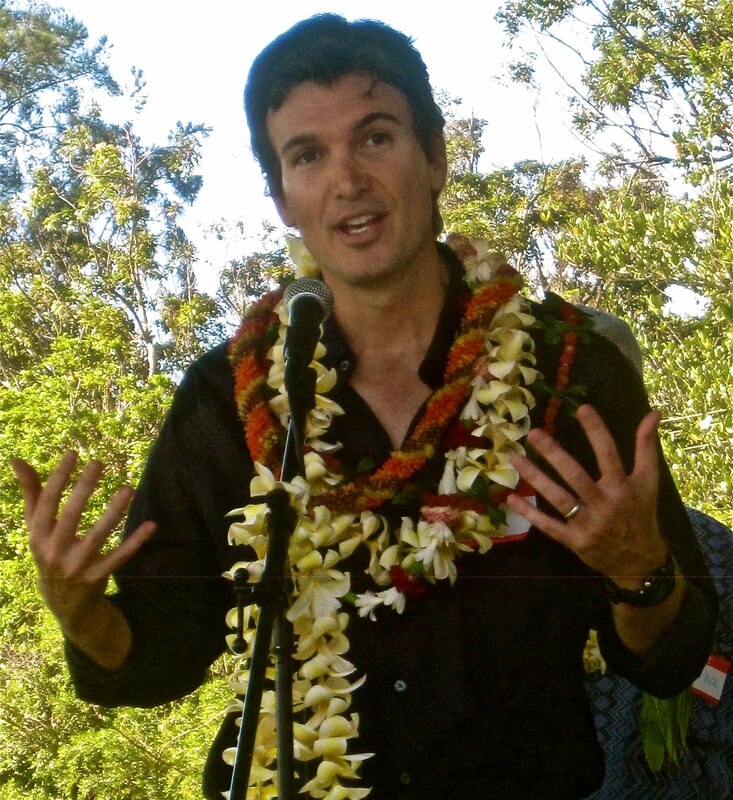 Jeff Cicatko invented a new game called WAIMEA WIPEOUT and it's all about catching waves and surfing-----just up my alley, don't you think? The children (and adults) loved navigating this boardgame with Jeff and his wife, Lynn. WAIMEA WIPEOUT is for sale at the Waimea Valley Gift Shop or just google it if you are interested in purchasing your own game. Hana was all smiles as she walked in front of the stage during the auction. The auctioneer, Joe Teipel, was cracking so many jokes as he was calling for bids on great pieces of art. 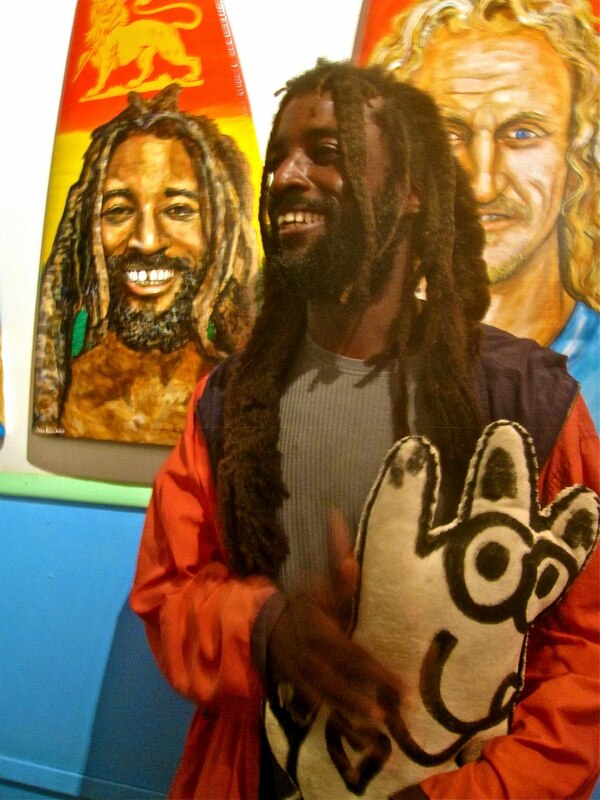 The portrait of Jack Johnson in the top photo was painted and donated by local artist, Daniella Antar-Power. There were two showings of FIBERGLASS AND MEGAPIXELS, one for families with children at 6:30 and a second showing at 8:30 after the auction and live music. Mom was on stage with Rick Williams, a member of the North Shore Lifeguard Association. Rick spearheaded the making of a very cool, short animated video by Drew Toonz detailing CPR techniques which was shown early in the evening. Craig Hoffmann is half of the brother team that made FIBERGLASS AND MEGAPIXELS. His brother, Derek Hoffmann, also a professional cinematographer, was in New York City on a job, so he couldn't be there to share the exciting North Shore premier of their documentary. Derek and Craig's Mother, Jill Jameson, attended her sons' big event and loved every minute of it!! She was so proud! Officer Bobby Harrison volunteered for the Sunset Beach Elementary surf movie fundraiser. He's such an asset to our neighborhood; always ready with a smile and good cheer. We're lucky he's part of the community. That's Bliss and Mom with him. Super Lucky Cat played during the intermission between showings of FIBERGLASS AND MEGAPIXELS. The music was happy and just right for this mellow crowd!! That's Woody in the middle with Ian to the left and Otis to the right. Rich was on the drums. 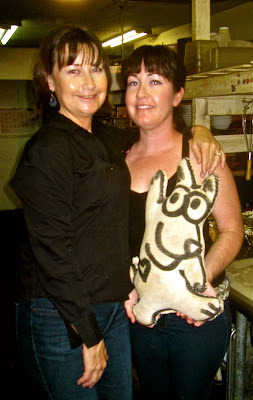 Mom and Jane had so much fun the night I put on the this literary fundraiser for Sunset Beach Elementary. DJane, her radio moniker, has a show broadcast from the University of Hawaii every Friday morning. It's called the LOVE SHOW and is live streamed around the world. Go to www.ktuh.org to listen. Expand your world. Everyone at the event supported the school's summer reading project--"Right on Reader". It's a program that gets kids to read all summer long with the intention of having them bitten by the "Reading Bug" and turning them into lifelong learners. Did you notice the beautiful painting behind Jane and Mom----it's by a very famous artist named Steven Power! 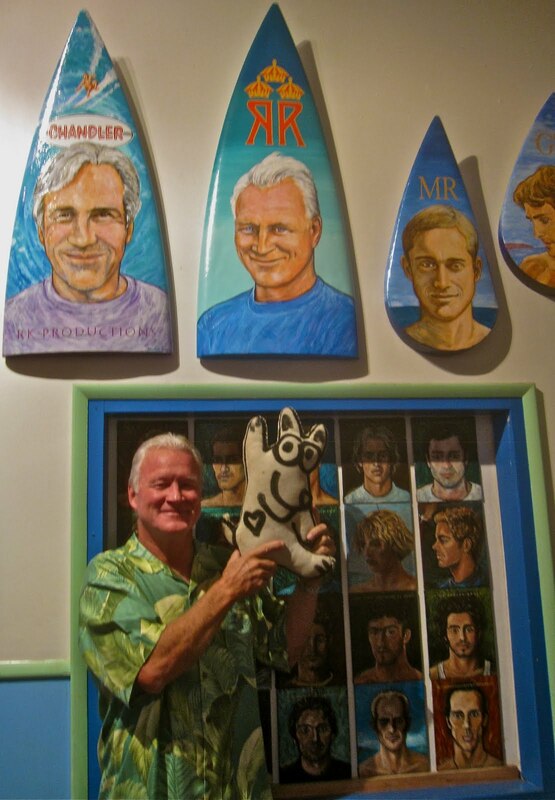 He paints on surfboards too. Google "Steven Power" to learn more. For those of you interested, this is the folder the students of Sunset Beach Elementary take home for the summer. They read a designated number of minutes depending on grade level, record it in their log, and bring it back when school starts. If they read the required number of minutes, they are honored at an assembly and presented with a "Right on Reader" t-shirt and a bag of goodies like markers, crayons, colored pencils, a sharpener, and healthy snacks (popcorn and nuts). Thanks to all who supported this fun and rewarding night. Haleiwa Cafe is the best place to eat breakfast in my little beach town, and soon it will be open for dinner on Friday, Saturday, and Sunday nights. Step in to see one of the many "art" events put on by its owners, Jacqie and Duncan Campbell. Yes, step in a little closer and see what's happening on a Friday night in Haleiwa as surf season opens! Big waves are generated by storms in the northern hemisphere in Alaska and Canada during the winter months and the North Shore of Oahu at Sunset Beach is the first place the waves hit! Sometimes it sounds like a locomotive is coming our way as the giant surf pounds the reef. 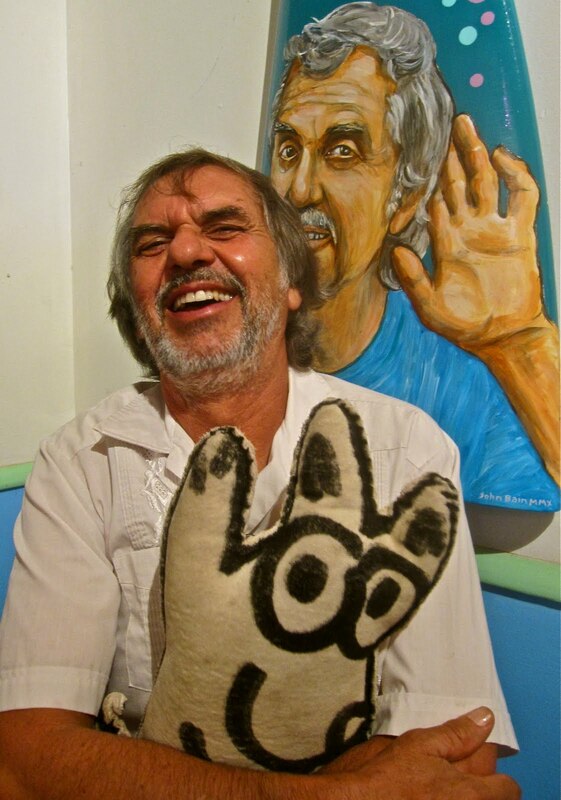 John Bain from Capetown, South Africa, loves to joke around. His latest exhibit is a tribute to, "the Real North Shore". 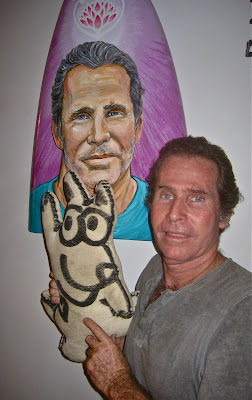 John captures the personality of each character, famous in our neighborhood (and sometimes globally), in his portraits. Right across Kamehameha Highway from Cafe Haleiwa is Billy's Barbershop. 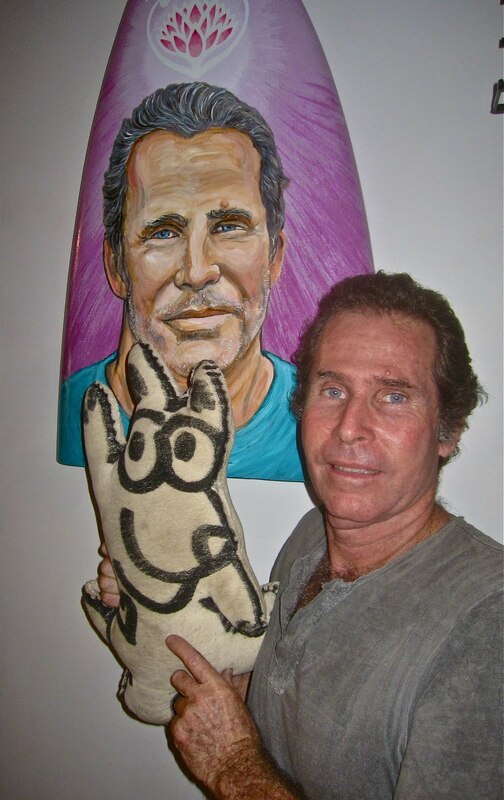 Yes, and that's Billy holding me. This Chicago native was really enjoying the art and the show! To the right of Billy's portrait is Skilly and yes, he is a North Shore character (remember seeing him on my blog running the Menehune Surf Contest two weeks ago?) To the left of Billy is Bob Leinau, the President of the North Shore Outdoor Circle and a great volunteer in the neighborhood. Bob also built the Kuilima, now known as the Turtle Bay Resort, and ran Waimea Falls Park for 25 years, now known as Waimea Valley. 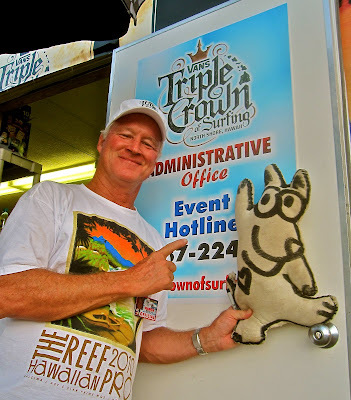 Randy Rarick is super famous because he's been running the Triple Crown of Surfing almost forever (he started it with Fred Hemmings long ago) and he always gives back to our community. Randy is so generous. He just spent $8,000 to have the City and County bike path, that runs along the beach roads, repaired so it wouldn't fall into the ocean at Sunset Beach. Bravo, Randy! 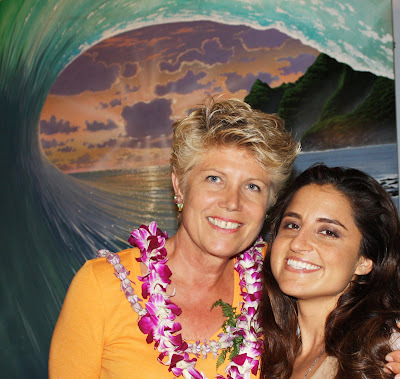 That's Jacqie, the owner of Cafe Haleiwa, with her daughter, Megan (one of Mom's former students at Sunset Beach Elementary). They were preparing the appetizer/pupu table for John's art opening. Yummy, yummy------just a sample of what's to come on the dinner menu when the restaurant soon opens for dinner! Megan also runs a vintage boutique and wine shop called Bonzer Front in the same building. 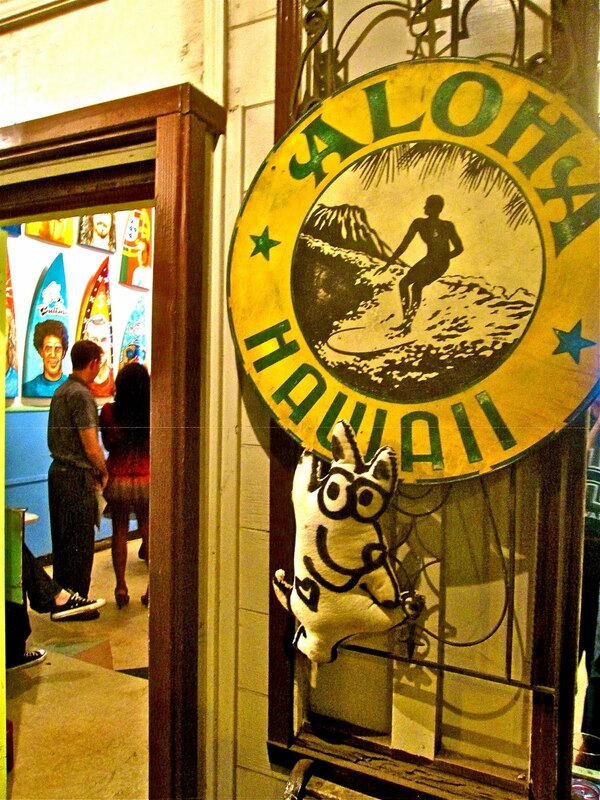 It's great, so stop on by when you're in Haleiwa. It's right across from the post office. This is Duncan Campbell, artist and restauranteur, who put on John Bain's "Collection of Characters" show. 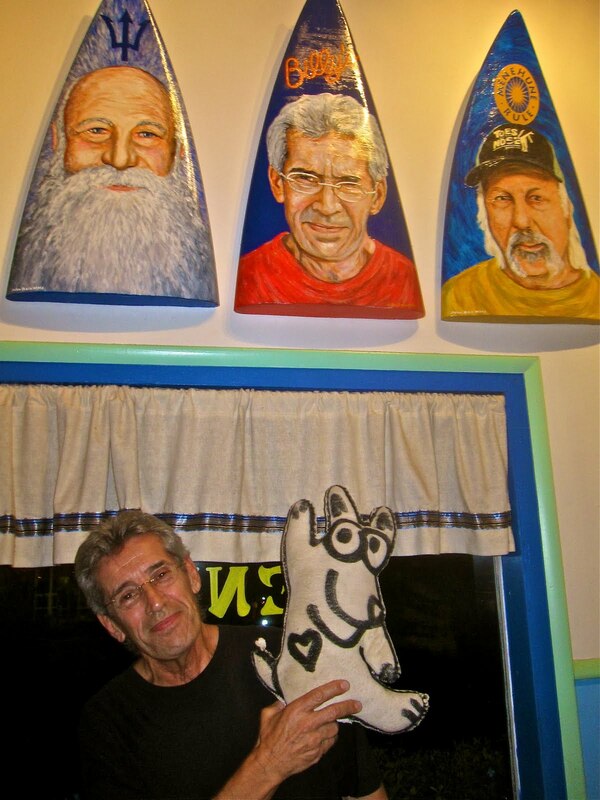 Yes, Duncan is one of the characters, one of the real members of the North Shore community. Kevan is on KTUH, the University of Hawaii radio station, almost every Saturday afternoon. Listen in and you'll be very happy you did. He plays great music! Doesn't he look like he likes to have fun!! Rick Williams has been a City and County of Honolulu lifeguard for almost 30 years and has saved many, many lives. He's also a great gardener and friend of mine (don't we look chummy!) who was named "Employee of the Year" for his tireless volunteerism and contribution to his profession. Go, Ricky!! 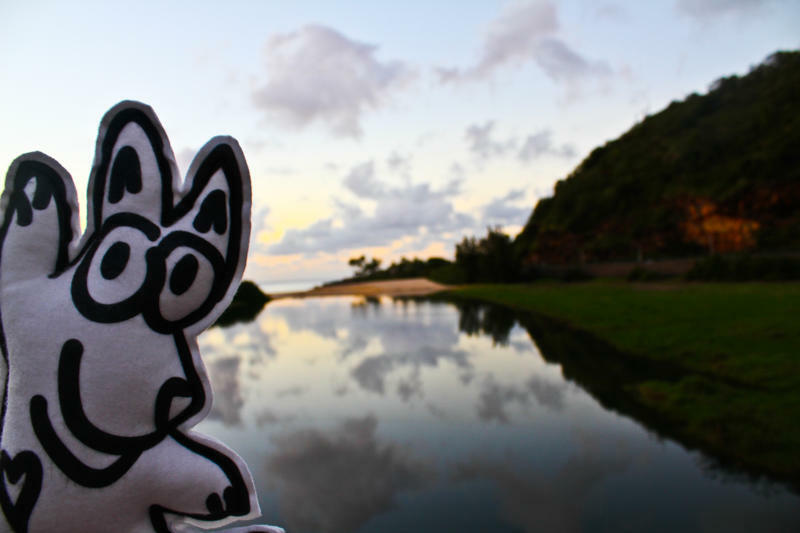 One of the best things about the North Shore of Oahu is the diversity of its residents. I love it! Surfers and others who enjoy the ocean and tropical climate of Hawaii flock here to appreciate nature at its best. Gordon, an electrician and farmer and leather goods craftsman, is one of those people. He's from South Africa and has lived her a very long time. It was fitting for Cab Spates to give me lots of love. In this photo, he's giving me a little pat and telling me how much he likes me. So.........you've seen some of the characters from the North Shore as portrayed by John Bain. Stop by Cafe Haleiwa and see lots more; the show/the surfboards will be up for awhile.